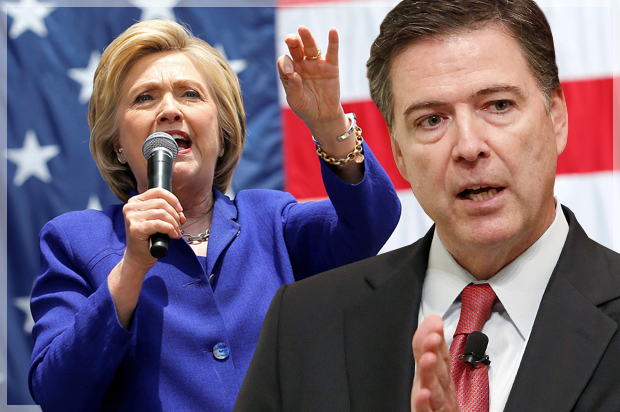 As the dust settles behind Comey after his exit as Director of the FBI, new unsettling connections between Clinton and Comey have come to light. Comey worked as a lawyer for Lockheed Martin up until 2010. During his time there, he had accumulated over $6 million. As Comey left, the mega-corporation decided to join the Clinton Global Initiative. After Lockheed Martin started working with the Clinton Global Initiative, they were awarded 17 major contracts from then-Secretary of State Hillary Clinton. After leaving Lockheed Martin a very rich man, James Comey was appointed to the board of the British financial institution HSBC Holdings. The bank is also an affiliate of the Clinton Foundation. James and his brother Peter appear to work in tandem to avoid revealing their pay-to-play practices. James Comey holds the mortgage on his brother’s house in Virginia. The corruption is absolutely rampant — it’s like they’re not even trying to hide it! Peter Comey is the “Senior Director of Real Estate Operations for the Americas” for the Washington Law Firm DLA Piper — which was behind the 2015 audit of the Clinton Foundation. DLA Piper is one of the largest all-time donors to Hillary Clinton’s election campaigns. Despite this connection, the law firm still manages the foundation’s taxes. This is a clear conflict of interest. Essentially, the FBI Director had a direct financial connection to Hillary Clinton through his brother’s law firm. The pro-Clinton law firm DLA Piper reward the Comey brothers financially while the FBI director was supposed to be leading an investigation into Clinton. This behavior is disgustingly typical of the Clintons, who often trade their political clout for their own financial interests. In this case, the Clintons were offering financial incentives to the man who was supposed to be leading an impartial investigation into their behavior. The numerous connections between the Comey brothers and the Clintons are too many to ignore. Comey was compromised, so it is a good thing that Donald Trump removed him from office. Essentially, wherever James Comey goes, Clinton Foundation money isn’t far behind. Thank goodness we have Donald Trump to drain the swamp.